Many elderly people feel their cognitive function or physical function get impaired according to their aging. Sometimes those feelings result the elderly people get depressive. But aging is the common phenomenon for all the species. 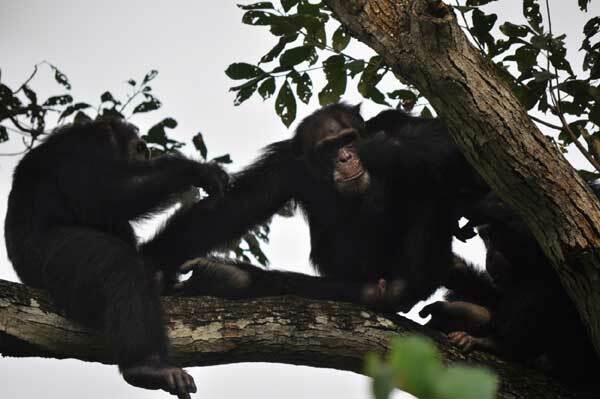 The purpose of this study is to observe how old chimpanzees facing their aging in their society. The end of last year, alpha male of the group disappeared. His mother is very old and she is one of my subjects. When I was following her last time, she was spending time very frequently with her son, alpha male. But this time her stay in the group became less. It is important to keep following up this female behavior. Because when elderly people lost their close family, some of them rapidly progress their cognitive impairment and weakness of their physical abilities. The disappeared alpha male was much stronger than others until he disappeared. Now it seemed that old females were supporting the oldest male who was estimated more than 50 years old. Three adult males were using diplomacy to be highest ranking. 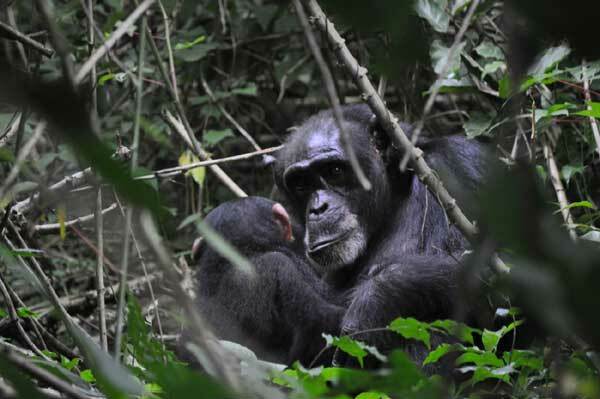 In my period, a baby chimpanzee died. Her mother was carrying the baby dead body all the time. She sometimes groomed the dead body, sometimes grasped the head with her hands and stared the baby in the face. The aging study needs to observe longitudinally. It is important to keep observing the same subjects.